To access the new Lens Explorer feature, you’ll need to tap on the camera screen to bring up a carousel of available options. There are reportedly more than 100,000 Lenses which have been created so far, meaning that you’re unlikely to run out of options any time soon. At least at present, there won’t be sponsored Lenses featured among those created by other users. Lenses are one of Snapchat’s biggest differentiators as more and more rival apps have borrowed from its self-destructing message concept. The company has previously said that 1 in 3 of its daily users checks out the lenses. It has also attempted to monetize its Lenses in order to drive revenue from advertisers. Earlier this year, Snapchat debuted new iPhone X exlusive Lenses which look more realistic, including reflecting surrounding light sources. Currently, Snapchat is still in the process of winning back fans. A 2018 redesign of the app proved immensely polarizing, and promoted a Change.org petition that attracted more than 1.2 million signatures from disgruntled users. 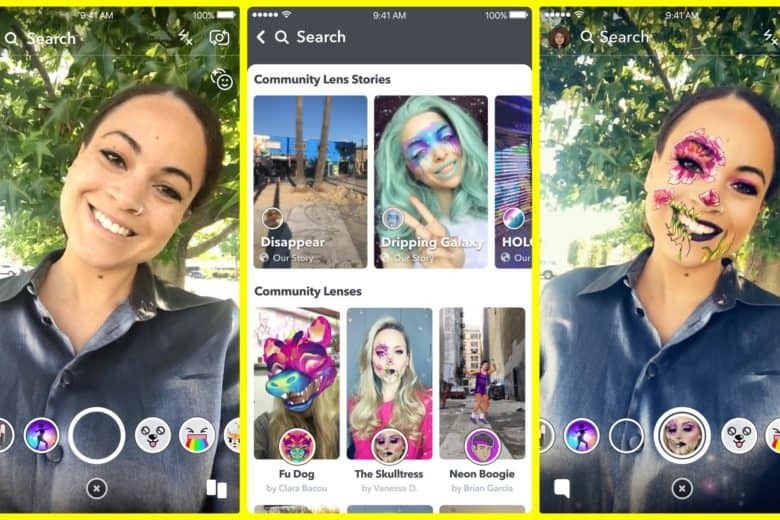 Moves such as the addition of Lens Explorer are intended to cultivate the Snapchat community, and provide fans with exclusive content they won’t be able to get anywhere else. Launching 10 years to the day after Apple pursued a similar strategy with the opening of the App Store, it’s hard to say this is a bad move!